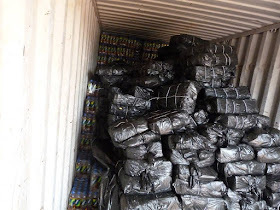 The Nigeria Customs Service (NCS), Federal Operations Unit (FOU) Zone C, Owerri has recorded a total of two hundred and thirty-one (231) seizures of contraband goods with an overall Duty Paid Value (DPV) of one billion, nine hundred and fifty-seven million, five hundred and twenty nine thousand, three hundred and seventy-five naira (N 1,957,529,375.00) in the third quarter of the year 2016. 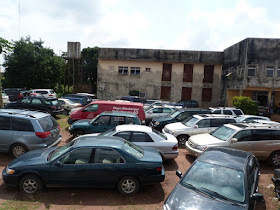 This is in contrast to the three hundred and seventy-nine (379) seizures with a DPV of two billion, two hundred and twenty-four million, two hundred and forty-five thousand, seven hundred and ninety-seven Naira (N2,224,245,797.00) impounded in the year 2015. 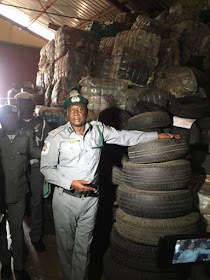 According to Comptroller Haruna, twenty-two (22) suspects were arrested in connection with the seizures which were impounded on the Benin axis, Asaba-Agbor-Onitsha express way, Calabar, Enugu, Owerri and Port-Harcourt axis of the South-south and South -East zones of the federation, while sixteen (16) cases are pending in court. 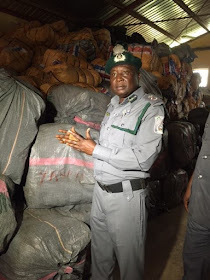 He stressed that the feat was successfully accomplished as a result of the renewed determination of the Comptroller-General of Customs Col. Hameed Ibrahim Ali (Rtd.) to rid the country of all forms of illegal importation.